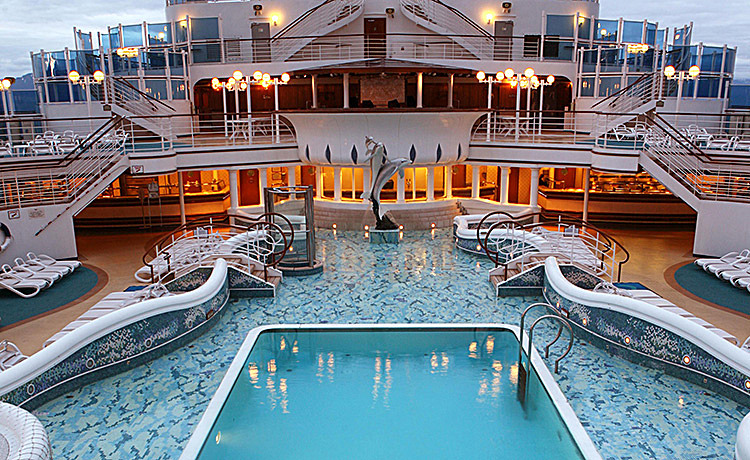 Diamond Princess is a ship in a class of its own! Enjoy the renowned spa amenities, the world-famous cuisine, and the amazing service that Princess Cruises offers on every ship - and enjoy the amazing décor of Diamond Princess while you're at it! See the stunning view from one of 740 balcony staterooms, or enjoy all of the activities and entertainment available! 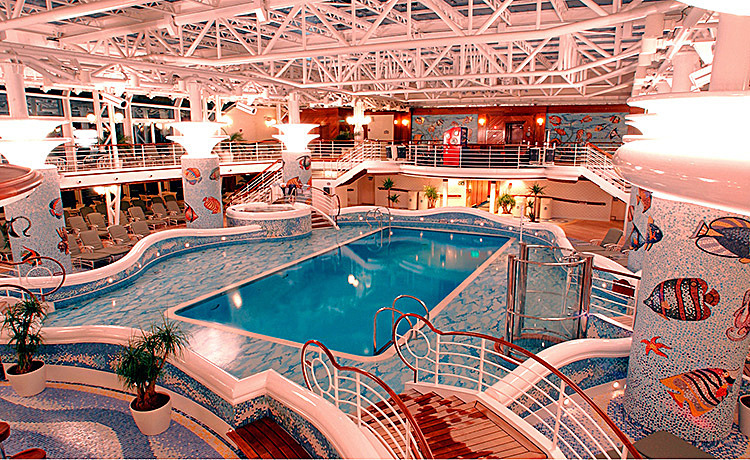 Book a cruise on the Diamond Princess today! 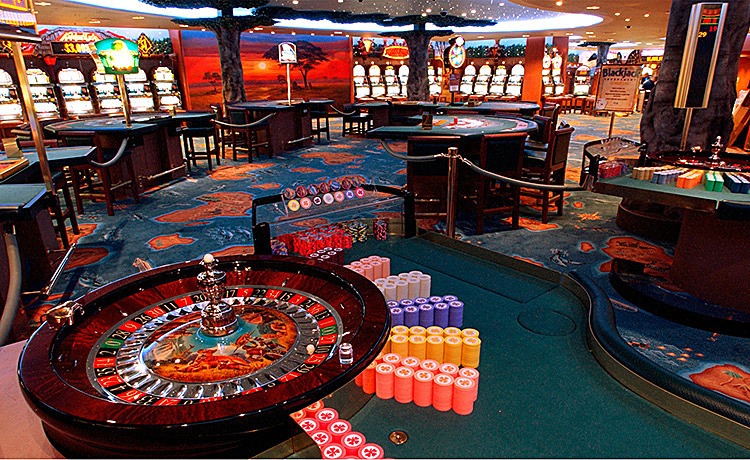 With everything from art auctions to virtual golf, you'll find something to do on Diamond Princess. Keep your day full of fun by the pool - the Calypso Reef and Neptune's Reef have 2 hot tubs each! There's also the Terrace pool, and the Oasis hot tubs for you to enjoy - sun yourself, or take a dip and cool off! The Lotus Spa® offers amazing spa treatments and remedies, and also has a gym and fitness area! The swim-against-the-current pool will help you burn off stress, or you can go to the Princess Links for a bit of nine-hole putting! There's a jogging track, shuffleboard, and the basketball court! Go shopping and get your friends and family a gift to remember from the duty-free boutiques on board! There's even a library where you can read a book in quiet solitude. The Internet Café, which has wireless access, is open 24 hours a day! This amazing ship even has a wedding chapel! Your stomach will delight at all of the great cuisine available on Diamond Princess! Get ready for a culinary delight: the traditional dining option offers sumptuous feasts served at the same time every day in the luxurious International Dining Room. Anytime Dining options include the Pacific Moon Dining Room, the Santa Fe Dining Room, the Savoy Dining Room, and the Vivaldi Dining Room - and each location is just as good a choice as the other! The ship even offers meals served with a view - the Ultimate Balcony Dining choice! If you want something a little different, or a more romantic atmosphere, try Sabatini's, the Italian restaurant! There's even a steakhouse, Sterling! Don't forget, there are also lots of other great places to eat - Prego Pizzeria, the Trident Grill (which has burgers and hot dogs), a patisserie, a wine bar, and even afternoon tea! Fancy a midnight snack? The Horizon Court serves food 24-hours a day! Don't forget, the ship has 24-hour room service! Diamond Princess is chock full of entertainment - whether you fancy a Broadway-style show, or a live music performance, you'll find it here! The Princess Theater has both types of show, as well as the latest first-run, feature-length movies! 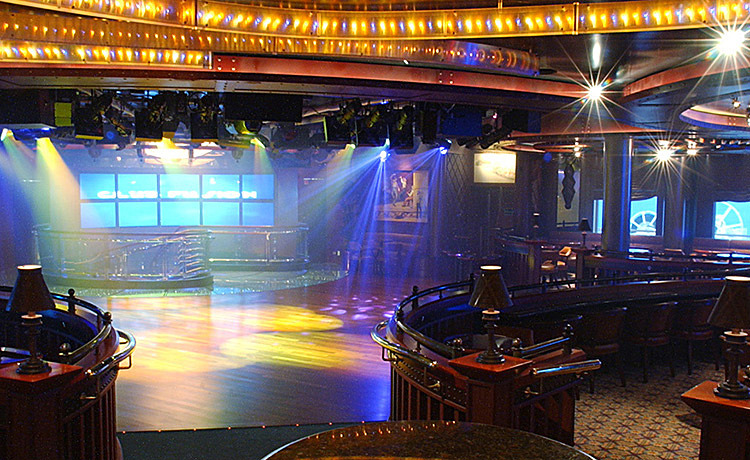 The Grand Casino has all of your favorite slots and card games from Vegas, and the Explorers Lounge has nightclub-style performances! There's also Club Fusion, and 15 decks above the ocean is Skywalkers Nightclub, where you can dance above the waves and feel like you're in the stars! 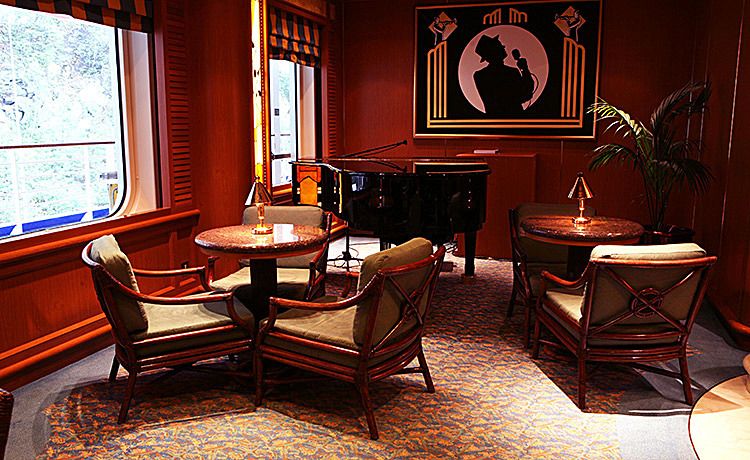 For something a little more cozy, try the Wheelhouse Bar, the Churchill Lounge, the Wake View Bar, or Crooners Bar - they all serve your favorite cocktails, and offer a great spot to catch up with your friends, or meet new people!